Here is an easy to read and play sheet of Twinkle Twinkle Little Star in ukulele tab. It’s been designed in Adobe Illustrator for a custom look and easy to read for young beginners. 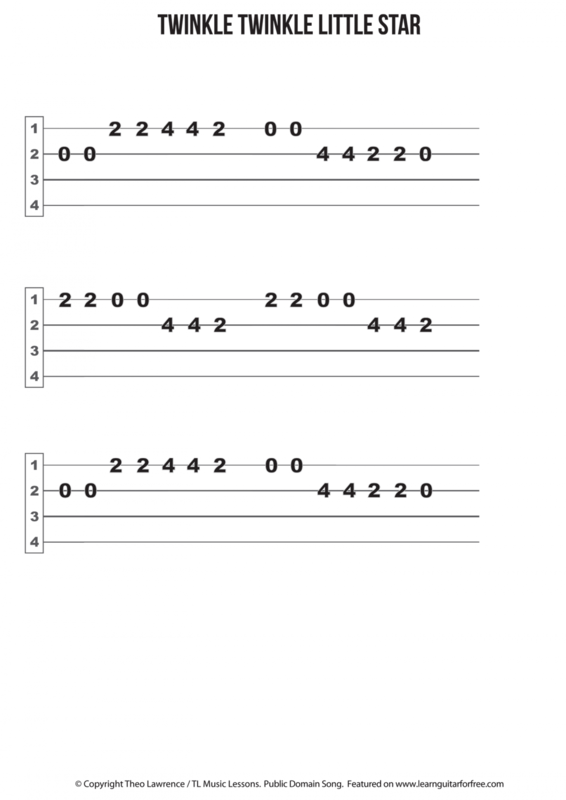 The sheet is ideal to use as teaching material for young ukulele students.